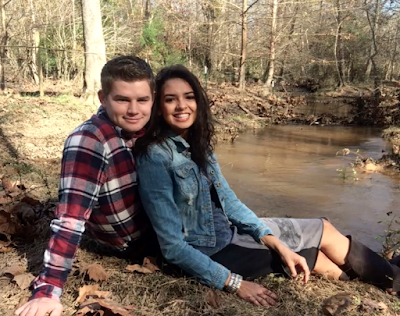 Bates Family Blog: Bates Updates and Pictures | Gil and Kelly | 19 Kids | Bringing Up Bates | UP TV: Happy 21st Birthday, Ashley! If Nathan Bates marries Ashley Salyer, the gal he is courting, the Bates family will have five double birthdays! Both Erin Paine and Ashley are celebrating a birthday today. Have a great birthday. Wishing you a year of blessings. Happy birthday sweet Ashley. I see nothing wrong with moving to be with your husband but please please don't change your clothing style to feel like you fit in with the family. I agree, wear what you want to wear and stay true to who you are. Happy Birthday Ashley! Hope you are having a good day. Really random question. I noticed Ashley's mom is Hispanic and by her accent she sounds like she can speak Spanish. Can Ashley and Anastasia speak Spanish? Happy Birthday Ashley! I have no doub her and Nathan will marry. Happy Birthday Ashley - you both look so very happy - best wishes in your courtship! Happy Birthday Ashley! Have S Bless Day,!! You and Nathan make A Cute Couple!! Happy Birthday Ashley!! Wishing you blessings! How old is Ashley? I hope Lawson finds a good girlfriend, too. Happy birthday !!! Hope it's a really good one! Wow, look at the contrast in their face shapes and sizes. I don't understand your comment? Happy birthday. I wish you the best in your move and your courtship. The Bates are a wonderful family. Lily and Ellie, what is the current status of Nathan and Ashley? Are they totally apart from each other? There has been no further talk of them since the grad party. There have not been any further announcements since the break-up. Kaci Lynn Bates, Coming Soon!